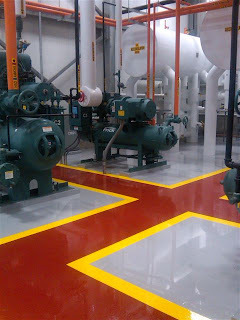 Caring for a Newly Installed Coated Floor | Blackwell's Inc.
We pride ourselves on installing a coated floor system that you will be proud of and will last for a long time. 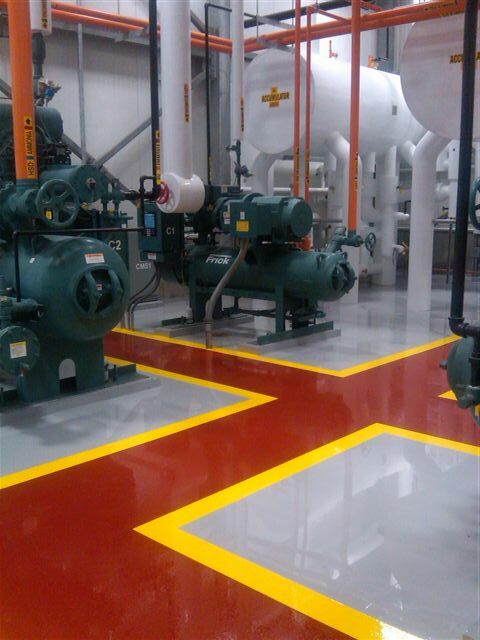 Newly installed coated flooring systems should be cured a minimum of 72 hours at 70° F. before any wash downs. Only warm water should be used the first week. We don't recommened you use detergents the first week the coating is installed. Cleaners may be used after the first week if necessary. We suggest the use of only non-chlorine type cleaners dissolved in water. Sanitizing detergents containing chlorine or Sodium Hypochlorite are not recommended. Degreaser cleaners are suitable when used as directed, but only if necessary. We suggest that any cleaners be tried on a small area before the entire area is attempted. Cleaning includes wash downs with water and squeegee. If a non-slip texture is installed, a soft bristled brush may be needed to dislodge dirt from the floor. Follow this brushing with a final rinse and vacuum both the dirty water and rinse water from the floor with a wet/dry vacuum.